Allegro Agadir is an all inclusive family-friendly resort in central Casablanca, close to the harbour and the Hassan II mosque. The hotel enjoys a location just over half a kilometer from the Medina and less than 5km from the beach. Featuring Moroccan accent in its architecture and interiors, this 4-star hotel promises guests a comfortable stay in its 126 rooms and 12 junior suites with all modern amenities and warm Moroccan hospitality to match. The Allegro Agadir hotel features an on-site restaurant named Al Mansour which serves a mixture of national and international dishes. 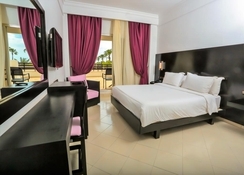 Facilities of the hotel include a swimming pool, wellness centre, a nearby golf course and plenty of cultural trips to go on leaving from the hotel. There is an on-site restaurant, a piano bar and meeting rooms, to meet the needs of guests whether they’re visiting for business or pleasure. Outside of Allegro Agadir, this bustling commercial and business centre in Morocco offers up a beautiful harbour, Moorish style buildings and European art deco architecture – plus plenty of landmarks worth ticking off. Allegro Agadir is situated in a strategic location just over half a kilometer from the Medina and the port and less than 5km from the beach. The famous Hassan II mosque is nearby, a landmark worth ticking off the checklist. The nearest airport is Mohammed V Airport just 24.8km away. 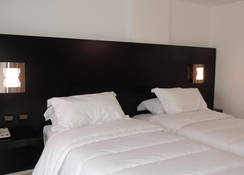 The hotel offers 126 rooms and 12 junior suites which area airy and with contemporary décor. These come with air conditioning, free high speed internet access, LCD screen with satellite, a direct dial telephone and an en-suite bathroom. There is a Senior Suite which adds a private balcony and a sitting area. Guests at Allegro Agadir can relish delicious international and local cuisine at AL MANSOUR, the on- site restaurant. The perfect place to unwind with a cocktail is the Atlantis piano bar. There is also an on-site coffee shop. The hotel can prepare Special diet meals on request and guests have the privilege of ordering Breakfast in the room. The hotel has a lovely spa where guests can enjoy rejuvenating massages and therapies. There is free Wi-Fi and guests are provided the day’s newspaper. The hotel has lively entertainment programs in the evening and provides a shuttle to local attractions and the beach. Guests can also shop for souvenirs from the gift shop on-site. Public parking is available at a location nearby (reservation is not possible) and costs EUR 1 per day. 1st time all inclusive and it was amazing. Food is fresh and varied. The sea is a 5mins walk away. Loved the hotel, pool great, entertainment fab, room was cleaned lovely. Went with a baby and a 5 year old, close to shops and beach. Food was not up to much atall, thankfully Macdonald’s was 10 min walk away! Good hotel in a good location. For the amount we had paid for the hotel I think it is good. The rooms we had were in great condition and we had no problems. The staff were friendly and drinks were great. The nighclub they have there ain't all amazing but it didn't matter because I was still having a laugh. Food can be good but times not all great but the snack was pizza everyday so extra happy about that. You are close to everything. Entertainment was good but small seating area so get there just before it starts to get a seat. I was expecting the worse from other reviews but I was happy. 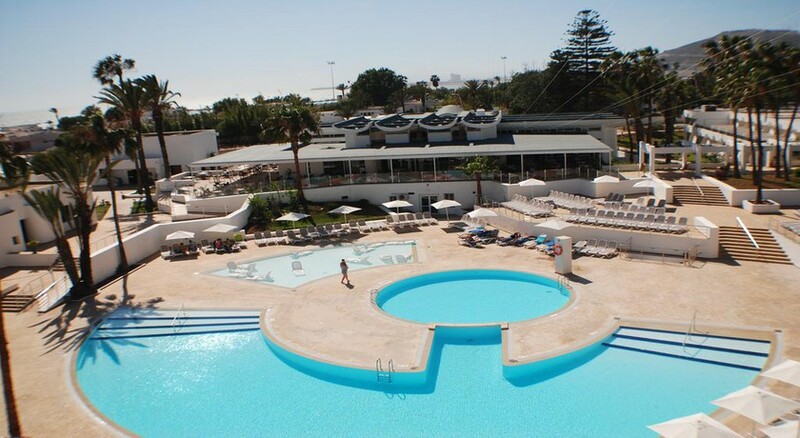 I been to Morocco 3times with family, it was gud but the hotel was not for us, if you like to be around people over 60years of age then this is the place for you. 98% were German or French. We stayed at the resort in July 2018. We had booked 4 rooms which were given to us on different floors so it was difficult keeping in touch with each other as the phones were not working in the rooms and there was no WiFi availability either. The rooms were average but the food variety was excellent fir all inclusive options. The animation team was amazing and put excellent entertainment and a very friendly service for customers. The pool was always clean and there were poolside activities on a lot of the time. Location was very good. Overall has a lovely stay but would have been happier if our rooms were closer together and we if we would have been able to contact each other without returning home with a huge phone bill! There was no indoor pool or gym facilities which was something that was advertised when we booked the hotel. Had a great holiday. Staff are very friendly and if you give a tip they bend over backwards. Hotel is tired and needs a refurbishment but the staff do the best they can with the tools provided. Food ok. Disappointed there was no white rum. Pools clean and maintained. Could have done with more information about the hotel on arrival.